See us on SCIway, the largest collection of South Carolina information and photographs on the internet! 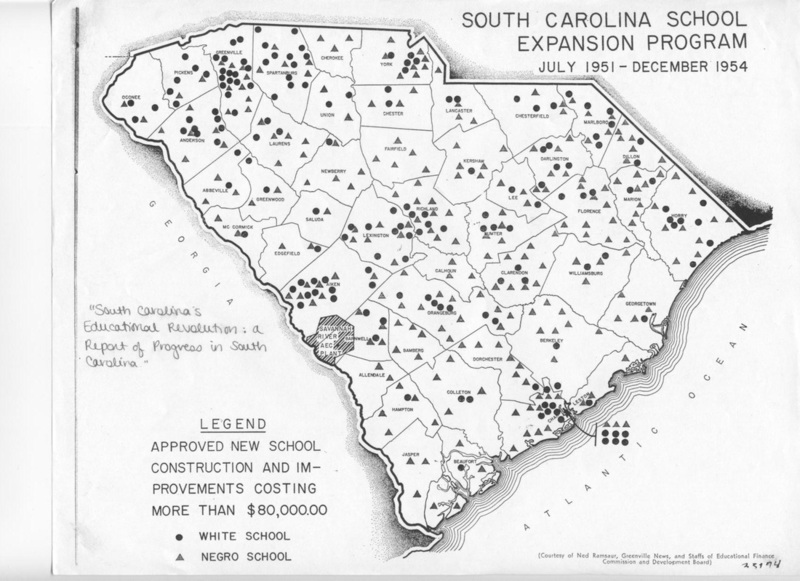 In 1951, South Carolina passed its first general sales tax in order to fund African American school construction. This attempt was to create "separate but equal" schools to forestall an order by the Supreme Court requiring desegregation of the state's public schools. While this program ultimately did not succeed in creating truly "separate but equal" educational facilities for black students, the program did transform the architecture of education in South Carolina.